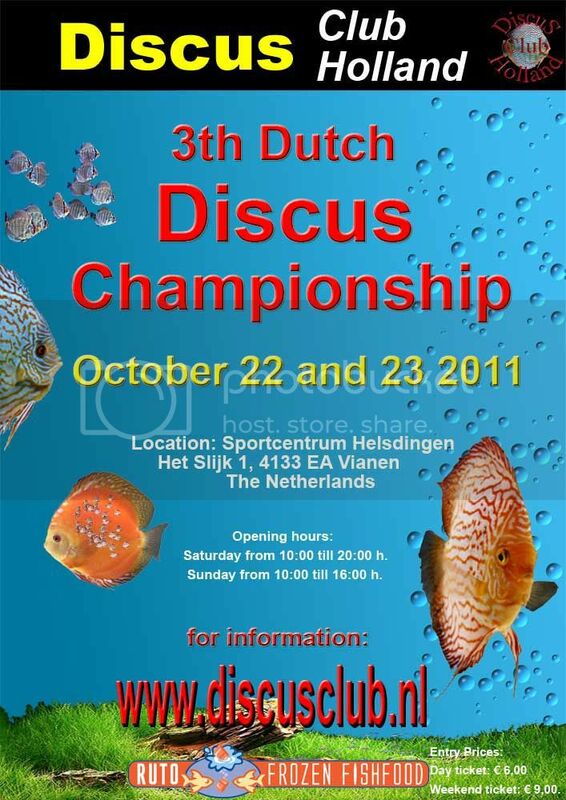 Here is the poster for the 03rd Discus Club Holland Show. I was extremely fortunate to have been asked to judge at their second show and that was a great weekend. The show was very well laid out. Very well organised and there was something for everyone and a great time was had by all who attended. This is the official poster and more comments and updates will be posted. How far is this show from Amsterdam? What do you mean by why?? LOL - Why do you want to know how far it is from Amsterdam ?? hahaha, because I want to know if I combine this event with a holyday in Amsterdam. The Netherlands is a small EU country which has an excellent rail service. The closest large city to the show is Utrecht and trains travel from and to Schipol and Amsterdam Centrum very frequently. It's about 50 km's from Amsterdam. The show is located about 500 meters from the highway coming from Amsterdam and the nearby hotel is excellent. What is the name of that hotel? My life changed forever after an hour in the Bannna Bar. LOL - I too would like to know................maybe Mark can do an article for us ??? p.s. opps nearly forgot Morten. This was the show hotel last year so I guess it will be the same next year.